It all started with a simple idea: To build a better burger with the best quality ingredients. 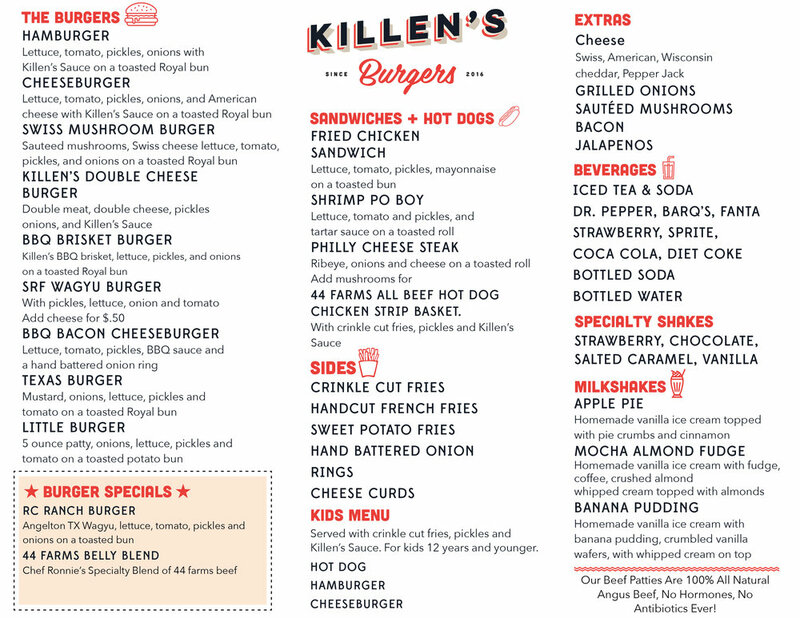 Killen's Burgers is our response to the immensely popular series of pop-ups we hosted in anticipation of a brick and mortar location. We take pride in everything we serve from freshly baked buns, house made pickles to our custom burger blend we grind every day. We're incredibly proud of the results and welcome you to come on in and taste the difference.